The combination of the new filler Voluma with the Ultherapy treatment provides outstanding facelilft-like results, without surgery. The two treatments really address what a facelift does, but even more. There are two main reasons why we need facelifts. The first is loss of volume from the mid-face. The second is loss of collagen over time. Collagen loss decreases the firmness of the skin and over time gravity causes the skin to sink down, leading to the formation of smile lines, fine lines, wrinkles, and jowls. Voluma is a new dermal filler that restores the youthful volume to the upper cheek, and Ultherapy is a new treatment that triggers new collagen formation in the skin. The Ultherapy treatment is done first, and its results are slower. Ultherapy uses the power of ultrasound to deliver focused energy to the deeper layers of the skin, the same layers addressed with a surgical facelift, but without any surgery. The Voluma treatment is done approximately two weeks later. 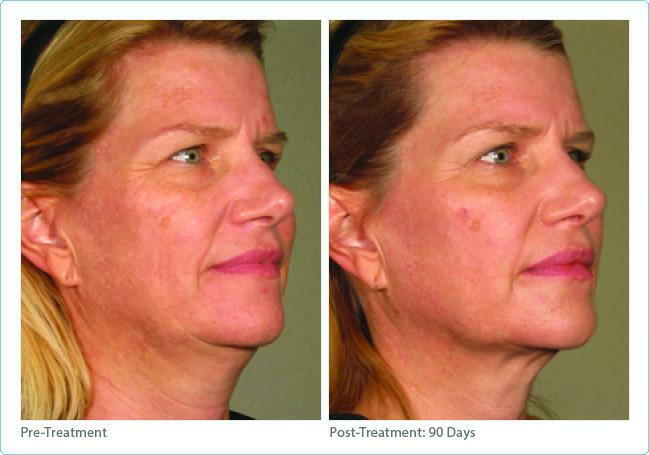 Although the results of the Voluma treatment are seen right away, the continue to improve over time. Most people enjoy the results of each of these treatments by themselves for two years, and the combination may lead to even longer lasting results. This is a perfect treatment for those who want to look more youthful, refreshed, and rested, but are not yet ready for surgery. Contact us for a free consultation with Dr. Alex.